Something that people often ask me is how long should your poker sessions be. Should they be 30 minutes, 1 hour, 2 hours, 4 hours or more? In general your poker session should be about 1 or 2 hours at the most if you are a beginner. If you are a professional poker player then your poker session can be anywhere between 2 and 8 hours. You should also take several short breaks during your poker session. But the right poker session length for you might be different. It depends on what games you play, how many poker tables and how good your concentration is among other things. 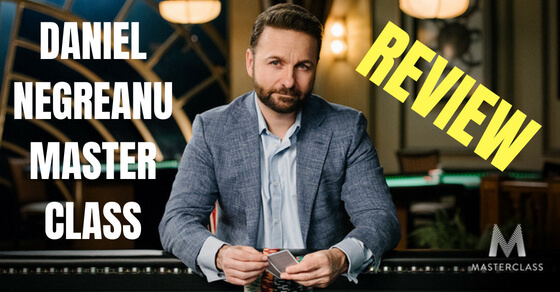 So in this article I am going to talk about how long your poker sessions should be and also give you some tips on how to play longer and stay more focused. The first major factor in how long your poker sessions should be is how many poker tables you play. Because the thing is that it is going to take way longer to put in the hands for someone who only plays 1 or 2 tables compared to someone who plays 20 tables at a time. 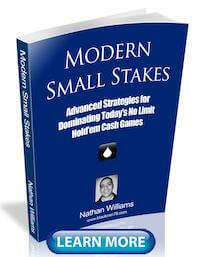 Now of course I am talking about online poker here where you can multi-table like a maniac if you want. Here is my complete guide to playing 20 or 30 tables at a time by the way. However, I don't suggest playing this many poker tables really anymore because it takes away from your ability to table select and make good poker decisions. Both of these are absolutely vital to your success in today's games. However, the bottom line is that you need to pick the right amount of poker tables that is best for you. If that is 1, 10 or 50, that's up to you. In terms of session length though, let me tell you from experience that anything above 20 tables for me is very mentally draining. I have a lengthy history of competitive gaming and 20+ tabling online poker still wears me out in a few hours. If I was only playing 4 tables I could play all night though. So if you are a huge mass multi-tabler at the online poker tables it will be very important to take frequent breaks to give your brain a rest! The next consideration for how long your poker sessions should be is if your are running good or you are running bad. Now people often ask me how long they should play if they are running good, catching every flop, coolering everyone and so on. Play as long as humanly possible! The reason why is that when you are running lights out at the poker tables you are more likely to be thinking very clearly about the game and feeling very confident as well. You always want to maximize your time spent playing poker when you are in this mental state because you will be at your most profitable. Now, while our results from session to session literally mean nothing from a mathematical perspective, the bottom line is that they do often impact our level of play considerably. So this is why I also suggest that if you are running particularly bad (missing every draw, they are hitting everything and coolering you), then I would cut your session short. Because when you are running like absolute crap you are more likely to be in a poor mental state, perhaps with feelings of hopelessness and frustration as well. Basically, you are playing your worst and least profitable. 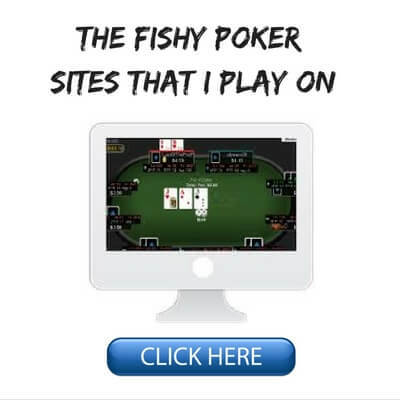 In fact you might even be the fish, you might not even be a profitable poker player when in this mental state. A huge part of winning at poker is simply maximizing your time spent at the tables when you are thinking clearly and playing great and minimizing your time at the tables when you are thinking poorly and playing bad. Alright, so let's get down to some actual numbers here. Instead of focusing on the length of time that your poker sessions are, I actually suggest that you focus on the number of hands instead. It will often tell you how many hands you have played at the online poker table itself or you can just quickly check in PokerTracker. The reason why I suggest focusing on hand targets is because we all play a different amount of tables. And some formats also deal much faster than other as well (Zoom for example). So I suggest for beginners and poker pros alike to set a certain amount of hands (a quota), that you intend to play before you even sit down to play. For me personally, I would aim for 3k hands in the past when 20+ tabling. These days I aim for only 1000-1500 hands because I play a lot less tables. I know that at my typical table count of 8-10 that I can play 1500 hands in about two hours. Sometimes I will quit for the day completely at that point, especially if running bad. But if I am feeling good and have the time, then I will usually take a short break, have a light meal, and put in another session aiming for 1000 to 1500 hands once again. The numbers are kind of arbitrary though and might be different for you depending on your average poker table count. So if you typically play 4 tables of 6-max, and you think you can stay focused for 2 hours, then your target might be roughly 700 hands. 4 tables of 6max = 360 hands per hour x 2 = 720 hands. You can of course adjust these numbers depending on how many tables you typically play and how long you think you can stay focused and playing your best. 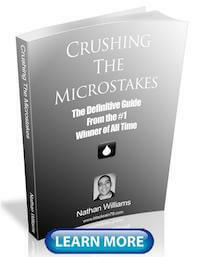 So one of the most common questions I get is how do you improve your focus and concentration at the poker tables. For some people, they tell me they get bored or distracted after 30 minutes or an hour. Well, as with most things in life I would first say that practice makes perfect. If you start grinding every day, like I always suggest if you are serious about having big time success in poker, then aim to play just a little bit more each day, even if only 5 minutes or 50 hands more. This repeated practice of playing every single day and increasing my concentration was how I got up to playing 10k hands a day at the peak of my heavy grinding days. 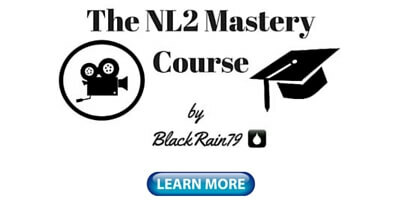 Seriously, if you want to get the best results in poker then you need to approach this game like a professional poker player would. I would also suggest that you always avoid playing poker right after eating a big meal as this can make you feel sluggish. Success in poker requires crisp clear thinking. I personally have practiced intermittent fasting for years. So I like to play online poker in the mornings fasted while just sipping on black coffee. I believe this allows me to be in peak mental shape and play my absolute best. Music or No Music While Playing Poker? Lastly, a common question I get is should you listen to music while playing poker and if so what kind. I think the answer to this is always going to be a bit subjective. For me personally, yes, I almost always am listening to music while playing poker. I do think that it helps improve my concentration and keep me engaged for longer periods of time. 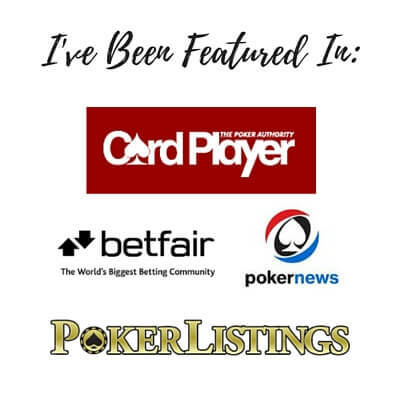 I am personally into a wide variety of different kinds of music but when I am playing poker I want something that has a fairly quick beat (although not too fast), is uplifting/positive and has minimal vocals. So for me, trance, progressive or house music is absolutely perfect for this. I love to listen to hip hop, rock, metal or podcasts when working out at the gym, but not when playing poker. If you want an actual suggestion, I am very often listening to A State of Trance by Armin Van Buuren when playing poker. This is a 2 hour non-stop weekly radio show hosted from Amsterdam by one of the most popular DJs in the world. The music is all trance and progressive. I have been listening to this show for like 10 years. It's perfect for me and each episode is roughly the length of my poker sessions as well. It is important to figure out what works for you though. And if you play better with no music at all, then that is fine as well, do that! 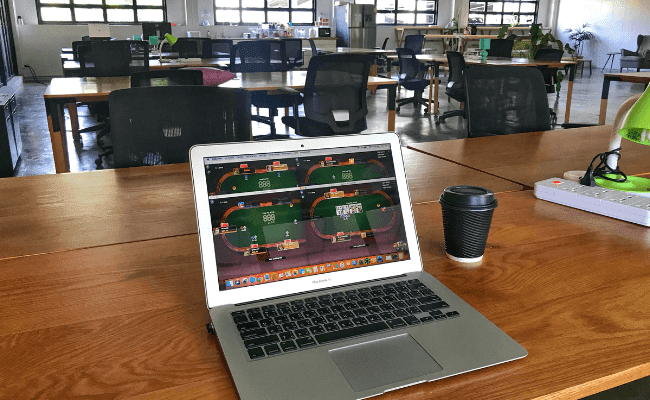 So how long should your poker sessions be? Well, for a very rough general answer I think beginners should play 1 or 2 hours at the most before taking a break. Experienced pros can play for longer periods. It also depends a lot though on how many tables you play, how good or bad you are running and how good your level of concentration is. You should only play the amount of time that works for you personally to play your best. Do not try to play 4 hours or 8 hours straight because some poker hero of yours does that. Do what works for you personally. If that is only 30 minutes right now on one poker table, then that's cool. You can build up your ability to multi-table and play longer through repeated practice and experience. I would personally suggest aiming for hand targets or quotas though especially when playing online poker. I think this is a much easier way to determine the length of your poker sessions. Before you even begin playing poker just say I am going to play 200, 500, 1000, 2000 or whatever amount of hands. Lastly, healthy living (sleep, nutrition, exercise) is undoubtedly going to help you greatly in alleviating tilt, focusing longer and ultimately playing better. Music also may or may not help you concentrate and stay upbeat and playing poker longer. You need to figure out what works for you though! 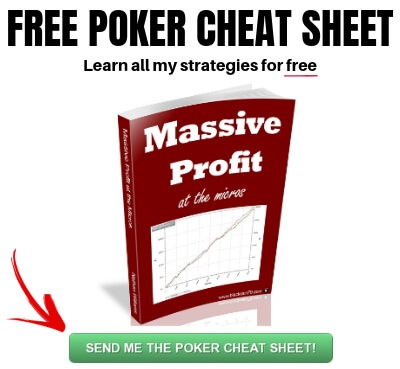 If you want to know how I played millions and millions of hands of online poker and created some of the highest winnings in history, make sure to pick up a copy of my free poker strategy guide. Let me know in the comments below how long your poker sessions are. What do you do to increase the length of your sessions and maintain focus? If you found this article helpful, do me a quick favor and give it a "Like" or "Tweet" below. Thanks! 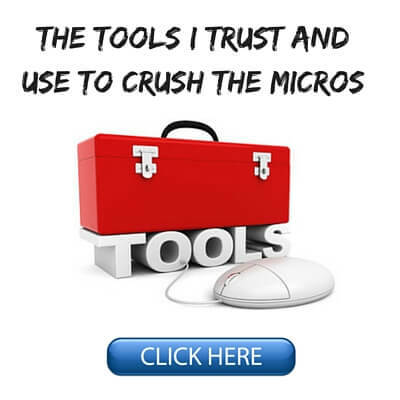 I set a target of 1000 hands per week, usually in 2 or 3 sessions. I calculated it takes me 4hrs 22 minutes one tabling on zoom 6 max! Thank you, the best coach ever!!! I think my favorite part of the article was the link to the health benefits of intermittent fasting. Thanks for including that. It was also encouraging to see you recommend playing for a few minutes or 50 hands if that's all you can do at that time. That's often the situation I face. Appreciate the insight as always, Nathan. Glad you enjoyed this article Jason! I am not sure, different for everyone. I usually play around 8 or 10 though, cash or mtt. I'm not a multi-tabler (yet). I assume when multi-tabling you don't have time to analyse villains' HUD stats, correct? Nope, I have plenty of time. That's the goal, play enough tables that you have time to still glance at stats and make good decisions. how to depozit from other countries wich is not in sepa zone or eea zone or from europe. how you depozit on poker sites from thaland.